New films by Agnieszka Holland, Agnes Varda and Isabel Coixet have been added to the official lineup of the upcoming Berlin Film Blood Fest Festival, along with special screenings of directorial debuts by British actor Chiwetel Ejiofor and “Narcos” star Wagner Moura of Brazil. The Berlinale added 11 titles to its competition slate Thursday, representing countries such as China, Norway, Mongolia and Israel. Of the 18 competition titles selected so far, eight are directed by women, including festival opener “The Kindness of Strangers,Colette ” by Danish director Lone Scherfig. Holland’s eagerly anticipated “Mr. Jones,” starring James Norton and Vanessa Kirby, will have its world premiere in Potsdamer Platz. 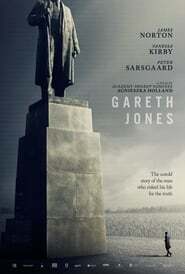 The politically A Kid Like Jake charged film centers on the real-life Welsh journalist Gareth Jones (Norton), whose reporting uncovered a deadly famine in Ukraine in the 1930s.